Orbiwise, a leading provider of infrastructure solutions for the Internet of Things (IoT), joins the HPE Partner Ready program making available its Enterprise-grade LoRaWAN™ Network Server (OrbiWAN™) pre-integrated with HPE Universal IoT Platform. This partnership enables the ubiquitous deployment of IoT applications requiring low-power devices and long-range connectivity, including smart industry, smart-city services, and precise agriculture: an endless array of applications in the most diverse verticals. The reference integrated solution launched at HPE Discover 2017 Madrid will support quick and seamless deployment of LoRaWAN™-based IoT solutions. "Our combined solution is already available for customers who would like to deploy commercial networks or simply start trials. It will benefit deployments of all sizes and, more specifically, those in the Enterprise space, the fastest growing segment in the Low-Power Wide-Area networks industry," said Domenico Arpaia, CEO of Orbiwise. Orbiwise and HPE have already successfully deployed with Tata Communications, the world's largest LoRaWAN™ network, soon covering more than 60 cities and 400 million people in India. "HPE welcomes Orbiwise into our rapidly expanding ecosystem of partners. Our combined focus on expanding the smart city and smart agricultural markets plus partnering with Tata Communications moves both companies past the hype stage to real world implementations in some of the harshest environments and most cost-sensitive conditions at scale," said Dave Sliter, Vice President & General Manager, Communications and Media Solutions, Hewlett Packard Enterprise. 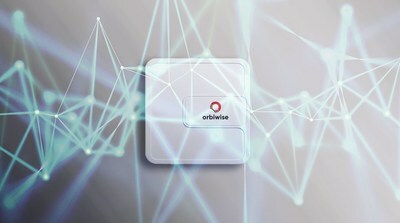 Orbiwise SA is a leading international solution provider for LPWA IoT networks and a contributing member of the LoRa™ Alliance. Orbiwise's customers deploy LPWA networks in smart city, precise agriculture and industrial applications. Orbiwise's OrbiWAN™ Core Network Solution is an industry-leading product that provides the intelligence to run, maintain and monitor the operations of LoRa™ Networks. The company is headquartered in Plan-Les-Ouates, Geneva, Switzerland. Contact: Didier Hélal, Strategic Accounts Senior Director, didier.helal@orbiwise.com , +41-78-919-45-44. LoRa™ and LoRaWAN™ are trademarks of Semtech Corporation. TATA COMMUNICATIONS and TATA are trademarks of Tata Sons Limited in certain countries.